* If you no longer wish to continue TRICARE coverage, you can voluntarily disenroll. * If you fail to pay enrollment or premium fees. * If you or your sponsor lose TRICARE eligibility. On Jan. 1, 2018, TRICARE Standard will transition to TRICARE Select. Under TRICARE Select, beneficiaries will need to be enrolled if they wish to use the program, and disenroll if they no longer wish to use this health plan. In order to disenroll from TRICARE Select, you will need to fill out a change form. This is different from the current disenrollment process. Currently, you can disenroll or be disenrolled from TRICARE Prime and TRICARE Premium Based Plans (TRICARE Young Adult (TYA), TRICARE Retired Reserve (TRR), TRICARE Reserve Select (TRS), US Family Health Plan (USFHP)), but you can’t be disenrolled from TRICARE Standard. Today, if you disenroll or are disenrolled from TRICARE Prime, then you’re still automatically covered by TRICARE Standard. Once TRICARE Standard transitions to TRICARE Select, you will not have this automatic coverage—you must actively enroll. * Your first episode of care from a civilian network provider will be covered by TRICARE. * You’ll have an opportunity to enroll or re-enroll. 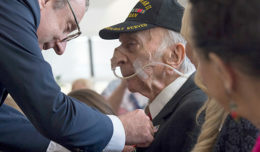 * If you don’t enroll at that time, you’ll only be able to receive care at a military hospital or clinic on a space-available basis and use military pharmacies. 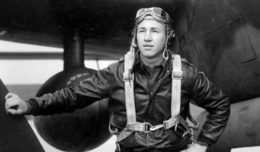 You’ll be responsible for all subsequent costs for seeing a civilian provider. TRICARE won’t pay any other claims. The grace period doesn’t apply to premium-based plans. Beginning Jan. 1, 2019, once you voluntarily disenroll from TRICARE Prime or TRICARE Select, you can only re-enroll if you experience a qualifying life event (QLE) or during the next annual open enrollment season (and receive coverage beginning Jan. 1). If you disenroll or are disenrolled from a premium-based plan like TRR, TRS or TYA, you must wait 12 months and requalify for TRICARE if you want to purchase coverage again. If you disenroll from the Continued Health Care Benefit Plan (CHCBP), you can’t enroll in another TRICARE plan unless you become eligible for TRICARE again. Specific procedures and disenrollment forms are available online. In cases of disenrollment due to loss of sponsor eligibility, you may be eligible for temporary coverage through the Transitional Assistance Management Program (TAMP). Are you ready for the upcoming TRICARE changes? 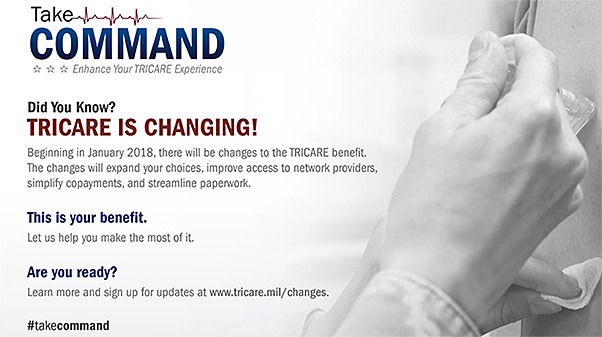 The best way to prepare is to update your information in DEERS, sign up for TRICARE benefit updates and visit the TRICARE Changes page at https://tricare.mil/changes.